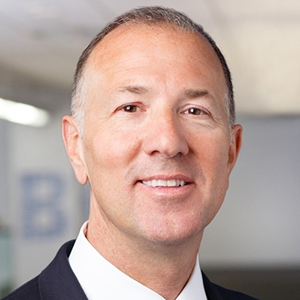 Edward Tilly is the Chairman of the Board and Chief Executive Officer (CEO) of Cboe Global Markets, Inc. (Cboe), one of the world’s largest exchange holding companies. Mr. Tilly, who has been CEO since 2013, was elected to serve in the additional role of Chairman of the Board in 2017 as part of the Bats Global Markets acquisition. Under Mr. Tilly’s leadership, Cboe has expanded its role as a market leader in providing cutting-edge trading and investment solutions to investors around the world. Mr. Tilly led the $3.2 billion acquisition of Bats Global Markets, which was completed on February 28, 2017. As a result, Cboe offers trading across a diverse range of products in multiple asset classes and geographies, including options, futures, U.S. and European equities, exchange-traded products (ETPs), global foreign exchange (FX) and multi-asset volatility products based on the Cboe Volatility Index (VIX Index), the world’s barometer for equity market volatility. Mr. Tilly has expanded global access to Cboe’s flagship products, S&P 500 Index (SPX) options and Cboe Volatility Index (VIX) options and futures, through the launch of extended trading hours. He secured exclusive licensing agreements with major global index providers FTSE Russell and MSCI, and launched products that added a significant international dimension to Cboe’s index option franchise. He also forged a number of strategic alliances in an effort to further diversify the company’s product and business lines. Through equity investments in CurveGlobal, Eris Exchange, American Financial Exchange and Vest Financial, Cboe is tapping into new market segments and reaching new customers. Mr. Tilly also led the acquisition of Livevol, Inc., a leading provider of options technology and trading analytics, to enhance Cboe’s market data services offering. Mr. Tilly has been an integral part of the Cboe community, as both a trader and exchange executive, for 30 years. Prior to being named CEO, Mr. Tilly was Cboe President and Chief Operating Officer from 2011 to 2013, served as Cboe Executive Vice Chairman from 2006 to 2011 and held the highest member-elected position at the Exchange as Cboe’s Member Vice Chairman from 2004 to 2006. Mr. Tilly came to Cboe as a trading floor clerk in 1987 and became a floor trader and Cboe member in 1989. He traded as both a market-maker and a designated primary market-maker (DPM) until joining Cboe’s executive management team in 2006. As a Cboe member, Mr. Tilly served on the Cboe Board of Directors from 1998 to 2000 and again from 2003 to 2006. He chaired the Cboe Floor Directors Committee from 2004 to 2006 and served on the Executive, Compensation and Governance Committees of the Board. Mr. Tilly currently serves on the board of directors for Cboe Global Markets, Northwestern Medical Group, the OCC, World Business Chicago, Working in the Schools, and the World Federation of Exchanges (WFE), where he also serves as Chairman of the Working Committee. Mr. Tilly is a member of the Economic Club of Chicago and the Chicago Club. He received a B.A. degree in Economics from Northwestern University.